Dyeing with plants is easy & fun. Ordinary kitchen equipment can be used with only a small investment in a mordant. Potential dyeing solution is everywhere in nature so be creative and experiment with different plants, as well as different parts of the plants. It is always exciting to see what color a plant has to offer. Collect the plant material at its peak to get the best color. If the plant material is dirty or has residue on it then rinse it before use. Many things such as bark, twigs, and stiff leaves need to be cut into smaller pieces in order to expose more cells and help decrease the extraction time. Pine cones and sweet gum balls should be partially crushed with a hammer. Soaking overnight also helps to decrease the extraction time. When collecting plant material there is one rule of thumb – always leave more than you take. Yellow and red dye sources should be heated only briefly because heat kills the pigments (anthocyanins) that produce red and yellow in plants. The basic kitchen equipment needed is a kettle, a bucket (for rinsing or straining), strainer, spoon or stick, measuring spoons and cups, and a mordant (alum & cream of tartar or vinegar). Kettles should be baked enamel or glass and should hold at least one gallon (more if you plan on doing large batches). Kettles made of iron, aluminum, and copper will affect the dye color. My rule of thumb is to use equal amounts of plant material and water. I do small batches and this seems to work as a general rule. 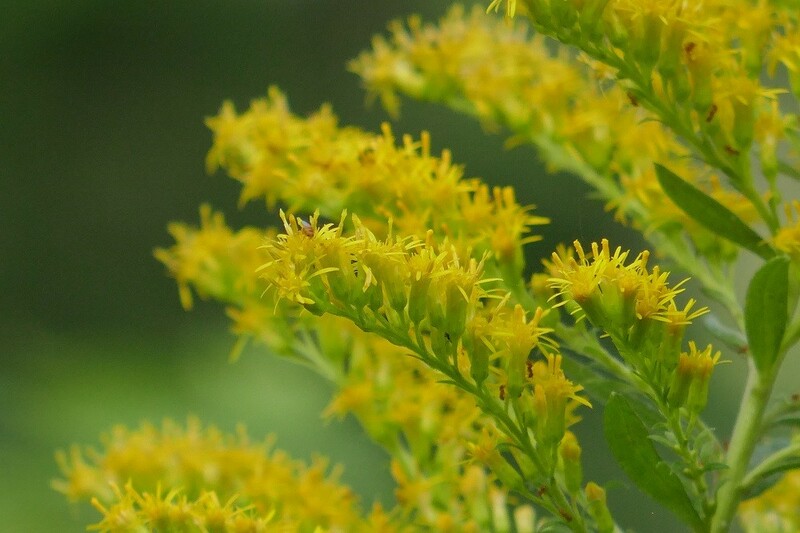 If I use 8 cups of water then I use 8 cups of goldenrod flowers. Intensity of color can be achieved by using more plant material, soaking the plant material for a longer period of time, and/or soaking the fabric for a longer period of time in the dye solution. Experiment and be sure to keep notes. A mordant is a chemical that fixes the dye to the fabric or yarn to make the color permanent. There are many different types of mordants used, but alum (aluminum ammonium sulfate) and vinegar (acetic acid) are the easiest to purchase and seem to be the safest because they are also used for human consumption (alum is used in pickling). Cream of tartar is used in conjunction with alum to brighten and soften the fabric. Vinegar has been used for years, but does not always produce bright colors. Alum seems to be the best choice for a mordant. For one gallon of dye solution use 1 tablespoon of alum and 1 teaspoon of cream of tartar. Dissolve the alum and cream of tartar in a small amount of very warm water and then add to the dye solution and stir thoroughly. Too much alum will make the fabric sticky. Adding the mordant to the dye solution allows the dyeing and color setting (mordanting) to take place simultaneously. 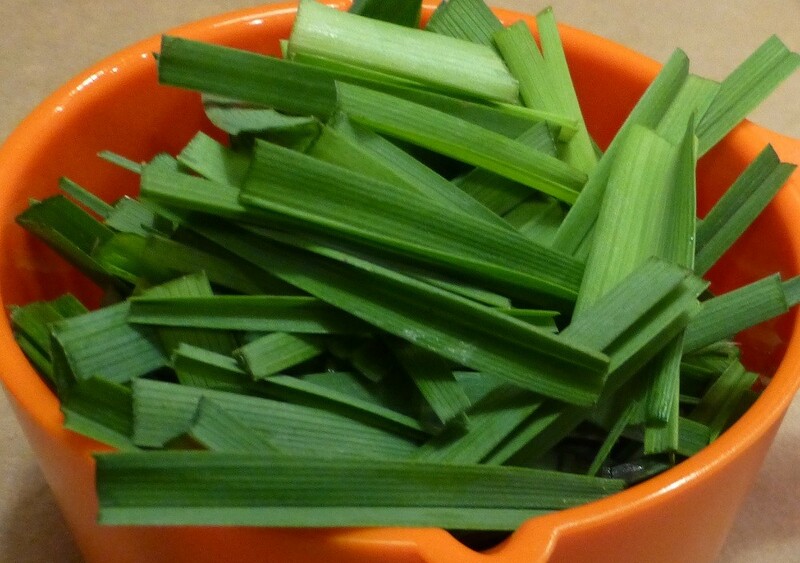 Combine your plant material and water and bring to a boil, turn off the heat and let it sit overnight. Remember if you’re doing yellow or red don’t boil the plant material too long. 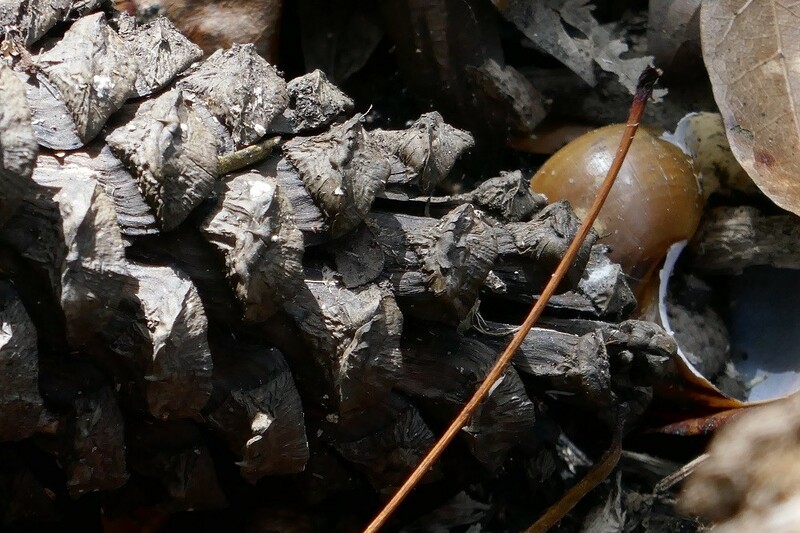 Some material may not take as long to release its color as others, and some material such as bark or pine cones may need to be soaked overnight before you begin. Keep checking on it until you get the desired color. Strain the plant material out. Dissolve the alum and cream of tartar in a small amount of hot water and stir into the dye solution until thoroughly dissolved. Add your fabric. Soak the fabric in the dye solution overnight or until it reaches the desired shade. Hurrying the process will only lead to disappointment. The mordant and dye must be given a sufficient amount of time to deeply penetrate your fabric. The dye solution may be used again and again until it no longer yields the desired color. Dye solution can be stored for later use, but if not refrigerated it will produce mold. If your results are not exactly what you expected try again with more plant material, a different part of the plant, or another plant altogether. Plants do not read books and do not always behave as the references state. There are many variables in dyeing that can affect the end product so be patient and adventurous. When washing your naturally dyed fabric, or clothing, it is best to wash it by hand with mild detergent because too much time in the washing machine with harsh detergent will fade your dye.